Disaster And Wilderness Ground Searchers, Inc. (D.A.W.G.S.) is a Connecticut based volunteer K-9 search and rescue organization. 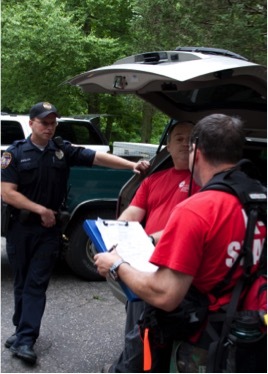 DAWGS provides to police, fire, or DEP agencies – at no cost – professional k-9 search and rescue services 24x7x365 to assist in, or manage, a search for a lost or missing person.